School Wall Fixed Roller Boards. This classic Wall Fixed board is made from light wood veneered MDF Frames, and is perfectly designed for use in schools, collages or in offices as well. Comes with options of 3 or 4 Additional Section Options. 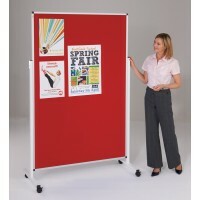 Ideal for use in schools, colleges, universities and offices, this wall mounted roller board is a versatile and space saving classroom teaching tool that can also be used for presentations, training courses and more. With a warm and attractive light wood veneered MDF frame, the roller board is conveniently wall mounted, providing a stable and reliable writing surface. 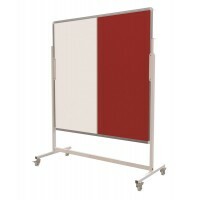 Ideal for ensuring full room visibility and saving valuable classroom floor space, the wall mounted board is supplied with wall fixings included, for straightforward fitting. An incredibly versatile display tool, the roller board design gives a large usable space for writing and note taking, without the need to erase previous work. Ideal for lesson planning or longer training courses, presentation material can be pre-written and stored for later use, while the roller board still provides plenty of usable work space. The board can be supplied with a choice of six different surface options – standard white, 50mm grid, 75mm writing lines, feint grid, music staves and chalk board. Providing all the writing surfaces you may need during your lesson, seminar, training course or presentation, the roller boards comes with the option of three or 4 additional surfaces to meet your exact requirements. The writing surfaces are connected and separated by black closure bars, which allow the board surface to be smoothly changed. Easy to install, use, write on and clean, the wall mounted roller board is also environmentally friendly as it is made of 80% recycled materials, and comes with a 1 year surface guarantee for peace of mind.